You know back in the day there would have been wolves here. And thats us. We’re the wolves now. And it’s important people know that. A girl called Antler steps out of her front door and throws her phone on the ground. She stamps on it. She then climbs the tallest tree in the park. She doesn’t want to be found, not by anyone. Seven teenagers’ lives all intertwine over the course of a single evening as they make their way through the park on a seemingly normal Autumn's night. Remote is a play about protest, power and protecting yourself. 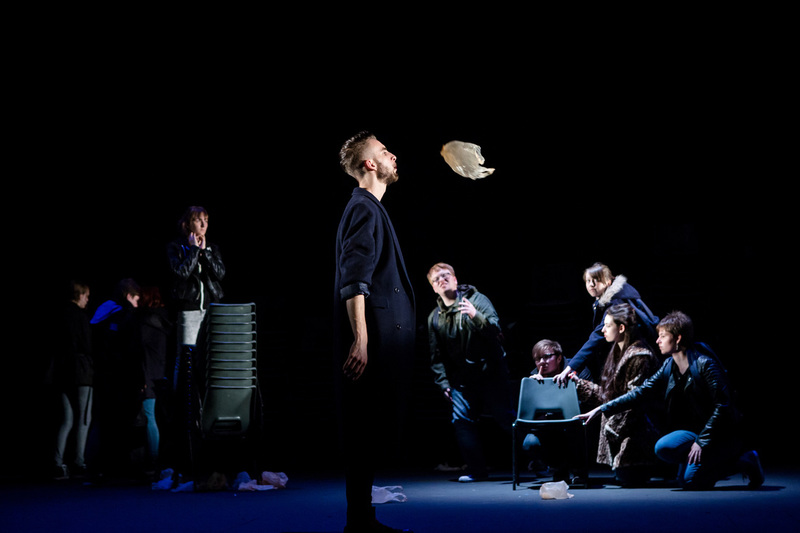 Remote was originally a play for young people, commissioned by the National Theatre of London. During the spring of 2015 more than 60 young groups across the UK performed the play. The play has since been performed internationally and has been translated into portuguese for performances in Brazil. The image's above are from the production staged at the National Theatre in London. This production was by URock Theatre Company and was directed by Tom Fox.